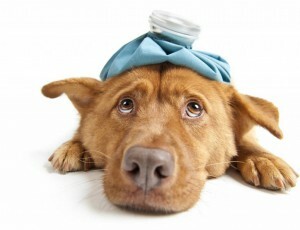 Sudden change in diet may be one of the most common reasons of vomiting in canines. Your companions may not be able to cope with the change resulting into throwing up. Dietary changes should be gradual and may be better if made after veterinary consultation. We often keep our pets busy by tossing a toy like we do with kids and may not realize which toy it was. Vulnerable toys that can be chewed off or swallowed may cause a choking issue or gastrointestinal issue and can cause vomiting in your furry friend. Avoid giving such toys to your pups. Dog bones are nothing but a hyped food. Canines lick bones because they get a taste of meat through it. Giving bones to chew may induce vomiting in canines and should be ignored. Even after getting regular meals, dogs somehow find “garbage bag” content tasteful. If your pooch has a habit of exploring garbage cans and having the remains then you may need to make him stop. Consumption of stale food from the waste is another cause that can be blamed for vomiting issues in dogs. For severe vomiting in pooches, do not feed to your dog, check whether he is shocked with vomiting by looking for pale skin/gums, collapse or changed behavior and check for dehydration. Immediate veterinary examination is recommended in any of the above observations. You do not feed your canine for at least 12 hours. To keep you pooch hydrated during these 12 hours by providing ice cubes or 2-3 tablespoons of fresh water at regular intervals of half an hour. To check whether your furry friend is feeling better and if you see positive signs then give him clean, fresh water after 12 hours. You feed your pup with bland food between 12-24 hours of vomiting. The first bland meal should be small just to check if he is ready for food intake. Combination of rice chicken is considered to be the best in such situations. Do not overdo and feed only 2-3 spoons of food at a time. Continue with the bland diet if there are no more vomiting incidences after having the first meal. The bland diet is recommended to be continued for 24 hours. If all goes well with the process until now then you may start feeding your pooches with normal diet the next day. Repetitive or serious vomiting should not be ignored. If your pooch faces continuous vomiting issues then it is recommended to get a detailed examination by a vet. 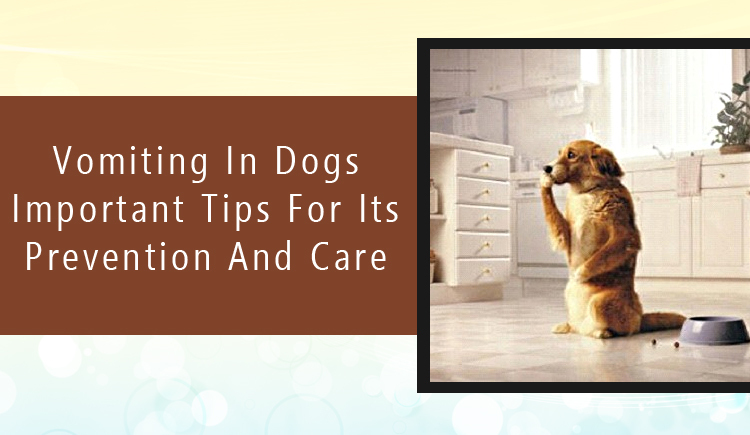 The above mentioned tips may help you prevent and care for primary vomiting stages in canines.